I'm Ar (a family nickname which has stuck, feels weird to use my real name now). 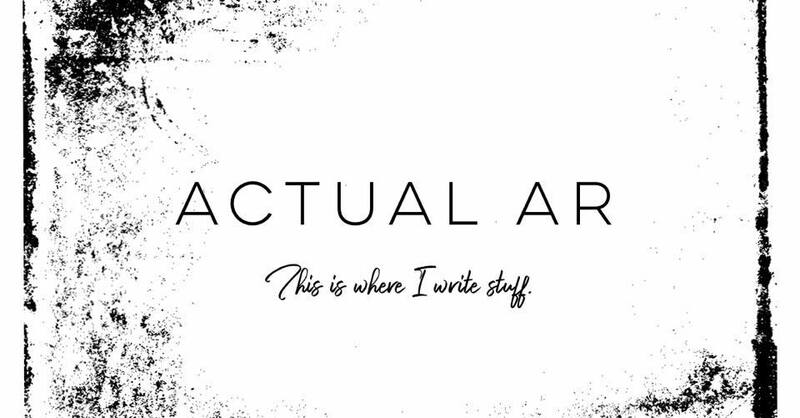 I'm 34 and a freelance writer and graphic/digital designer from the North East. I work from home, basing my workload around my daughter's school pattern. I'm also a rugby player and have been playing in the national woman's competition with my team since last year, which I'm really enjoying, although I never thought it'd be something I'd get involved with! My daughter is four and has recently started reception, which is freeing up a bit more time for me to work and actually plan some decent family time. I live in the North East in a small seaside town. I'm right next to the beach so it's lovely in the summer, but freezing the rest of the time! I'm used to it though, and even when it's chilly we still like to go down there and do some exploring. We're really lucky in that we've got a gorgeous coastline right outside our house, so we love to all go down to the beach with our dog and explore (when it's not too cold that is!). We also like to explore nearby attractions and go on family days out - our daughter loves museums as well as the usual soft play and parks, so we enjoy trips to Beamish, the Hancock Museum and RSPB Salthome. If I could live anywhere it would probably be Ibiza or Spain. I love the culture and the lifestyle over there, and the Spanish people are so child-friendly its lovely. Plus the weather is usually pretty nice! I grew up in the town we're now living in. I've moved around a bit but have ended up settling back here more permanently. I'm not sure if it'll be forever but for now, it's a safe and happy place to bring up my daughter. I loved growing up by the sea; I couldn't imagine living anywhere other than somewhere with a coastline now. My favourite childhood memories of here have to include summer evenings with friends and exploring other parts of the town that I thought were a million miles away - when in reality they were just parks on the opposite side of the area I lived! I'm hoping to plan a family holiday for us next year! We've only been abroad once since our little girl came along and that was for a friends wedding. So it would be nice to have a proper holiday together. I'd love to be able to take her to Disneyland, but there is such a lot to look into I'm going to need to do some research first - and some saving up! My favourite thing about family life is that we always make time for each other and we appreciate the time we spend together. It's really hard to juggle our schedules so that we spend a bit of quality time together each week but I think that makes us appreciate the nice days out that we do as a family. Thank you so much for taking the time to answer these questions, it is always lovely finding out more about other North East bloggers. My little boy has just turned four and has started reception too and it is so strange not having him here the past two weeks since he started school full-time. I hope that you manage to find a holiday for next year and good luck with the rugby. Interesting interview. Love her responses. It is important to make time for family. That is the beauty of it.